As I wrote a couple of weeks ago, as a percentage of total car sales, no auto manufacturer is selling more electric cars than BMW (not counting 100%-electric companies like Tesla Motors). The percentage (4.9%) is even more than double what Nissan has achieved this year (2.1%). Of course, in many respects, Tesla Motors is the leader in the electric vehicle market. But one of its main goals is to stimulate greater EV enthusiasm and faster EV rollouts among the largest automakers in the world. It wants the EV revolution to come about quickly in order to help address our massive global warming and pollution problems. As such, it has even opened up its patents for anyone who wants to use them with good intentions. Nissan and BMW have expressed some kind of interest in using these, and the latest news is that BMW and Tesla may actually work together and share useful information (and maybe even more) both ways. BMW’s carbon fiber, which helps to make the BMW i3 the most efficient car in the US and the “greenest car of 2015,” comes from a joint venture with SGL. “We are talking about whether we can collaborate in battery technology or charging stations,” Musk was specifically quoted as saying in the interview with Der Spiegel, a popular media outlet in Germany. Tesla has previously partnered with Mercedes and Toyota, but the BMW partnership seems much more exciting since BMW genuinely seems to be interested in leading the way forward in the EV revolution. 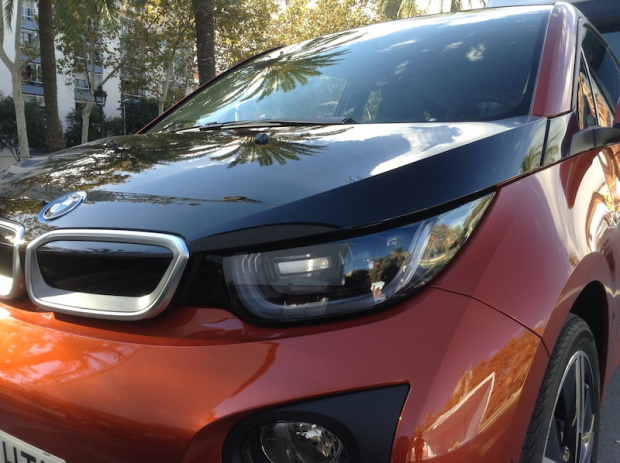 Its i3 was built electric from the ground up. An electric motor and battery weren’t simply swapped into a gasmobile in place of its gasoline engine and tank. Also, BMW is selling the i3 across the US and Europe, not just in select markets where it needs to do so in order to meet regulations, as is evident in its strong sales. We’ll see what comes of this, but I’m hoping for big things.